Dec. 14, 2012, 10 a.m.
Andrew Pergam, Mónica Guzmán, and Tony Haile share some of the big ideas they’ll take away from the year. By Spark Camp @sparkcamp Dec. 14, 2012, 10 a.m.
— Andrew Pergam, Spark Camp cofounder and director of video at The Washington Post. 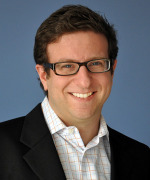 Previously, he was editorial director of J-Lab, examining and funding innovations in interactive journalism, and managing editor for digital of NBC Connecticut. 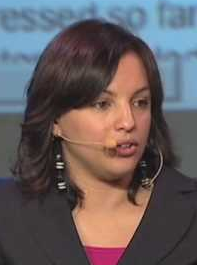 — Mónica Guzmán, digital life columnist for the Seattle Times and GeekWire. Previously, she spent a year at Seattle-based startup Intersect. 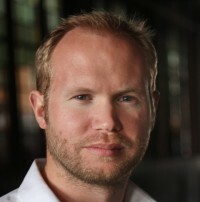 — Tony Haile, CEO of Chartbeat and named one of the 100 most creative people in business by Fast Company this year. Most intriguing to me has been a design trend away from traditional layouts and into more bold, engaging experiences. In particular, I look at the new USAToday.com redesign, and the launches of Quartz, HuffPostLive, and Circa. These sites are more glamorous and appetizing, asking users to come inside and explore. USA Today and Quartz fall off the page horizontally and bring a tablet’s sensibilities — zooming and shifting content — to the desktop, too. Quartz offers a continuous page that seems to go on endlessly, and with no preexisting advertising conditions, Quartz is able to offer an experience where sponsored content seamlessly flows in. On the other hand, HuffPost Live, the video extension of the Huffington Post, has built a video site where video takes up less real estate than engagement tools. Users are encouraged to join the conversation with their webcam, to join the chat stream, and to find more information on the current segment without navigating off the page. These integrated experiences make sense. Finally, the Circa app seems to be a hidden gem: The concept is smart, with an acknowledgement that a story is just a series of news nuggets tied together. As the story evolves, new elements appear, and the site lets you follow those stories of interest, giving you just the updates you’ve missed. And it’s display is well imagined. In all these cases, design seems to drive the discussion of how best to present the news — a welcome trend as we approach 2013. In the coming year, I’ll pay particular attention to the sophisticated integration of sponsored content. In the recent past, our business has taken a sledgehammer approach to getting that square peg into a round hole. Now some major players are revealing smart ways to make advertorial content as compelling as editorial content — to name a few: Forbes launched Forbes BrandVoice and the Gawker family of sites offers sponsored posts, in a similar tone as the rest of the site. The challenge, of course, is to maintain the transparency and separation that have been hallmarks of our industry. Those needn’t be excuses to avoid integration, but they should be guideposts we use as navigate the terrain. I’m fascinated by the fact-checking trend that took off in the months leading to the election. I followed critiques from Jay Rosen, James Fallows, and many others about this emergent flavor of news and the experiments in real-time fact checking of live events like political speeches and debates. Can journalistic fact-checks help hold newsmakers more accountable to truth? Are they a sign that we’re finally ready to get aggressive defending it? In 2013, I hope to see more experiments in news monetization and community service that go beyond the commodity article into events, news apps, and other ways to offer understanding. I’m checking out the Circa app at least a few times a week; I’m excited about the idea of separating news into points, and being able to follow developing stories in a new way. I’ll hope against hope that no other newspaper will make the mistake The Seattle Times made earlier this year, when it ran ads in support of political campaigns in its own paper. What was the most interesting idea in media and technology in the past year? Personalized, efficiency-focused services like Sherpaa or Simple or Uber show a lot of promise. They redefine solutions to long-existing, often very frustrating issues. Take Sherpaa — they finally give users direct phone and email access to guides that give them the right care options and direct them to the appropriate physicians. It’s built within the natural behavior-flow of their users — and helps people make better use of their health care. And Simple is loved by everyone for the same reason — they’re built, first and foremost, on user experience, removing as many daily pain points banking customers experience as possible. What was the most overhyped idea in media and technology in 2012? The Nate Silver election prediction hype — because how is data not already part of every decision we make? Nate Silver does a great job of making data accessible and understandable to the masses with The New York Times’ FiveThirtyEight blog. I personally love that — it’s our whole mission at Chartbeat. I’m just surprised that in 2012 there are people out there who think his use of data to make decisions is shocking. Data is incorporated in all aspects of our lives — we look out the window before we get dressed in the morning to determine what to wear, we check our calendar to mentally prepare for how crazy our day is going to be (and if we deserve that mochaccino on the way to work). I hope Nate Silver just kicked some more companies in gear — they’ve got to realize they don’t have a choice but to build and take everyday actions with data. Even the White House has an open API initiative to make executive departments more focused on real-time data. I hope in 2013, stories like Nate Silver’s are more and more commonplace. POSTED Dec. 14, 2012, 10 a.m.
Camp, Spark. 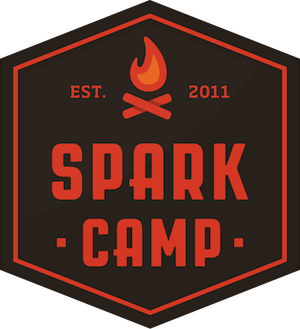 "App-like news design, real-time fact checking, and personalized services: Some of Spark Camp’s big ideas of 2012." Nieman Journalism Lab. Nieman Foundation for Journalism at Harvard, 14 Dec. 2012. Web. 18 Apr. 2019. Camp, Spark. "App-like news design, real-time fact checking, and personalized services: Some of Spark Camp’s big ideas of 2012." Nieman Journalism Lab. Last modified December 14, 2012. Accessed April 18, 2019. https://www.niemanlab.org/2012/12/app-like-news-design-real-time-fact-checking-and-personalized-services-some-of-spark-camps-big-ideas-of-2012/.